We are not your average vaping company. Apollo Future Technology, better known as Apollo E-Cigs, is a privately-owned and globally-operating company. Since we were founded in 2010, we've worked to bring new ideas to life through innovation and creativity. We pride ourselves in providing quality products and customer service worthy of notoriety. Our goal here at Apollo is summed up with one word: consistency. We put 100% into everything we do, 100% of the time. When it comes to customer satisfaction and the consistency of our products, we won't let you down. To make a healthier lifestyle more attainable, and to guarantee the satisfaction of all our customers with integrity that we can be proud of. 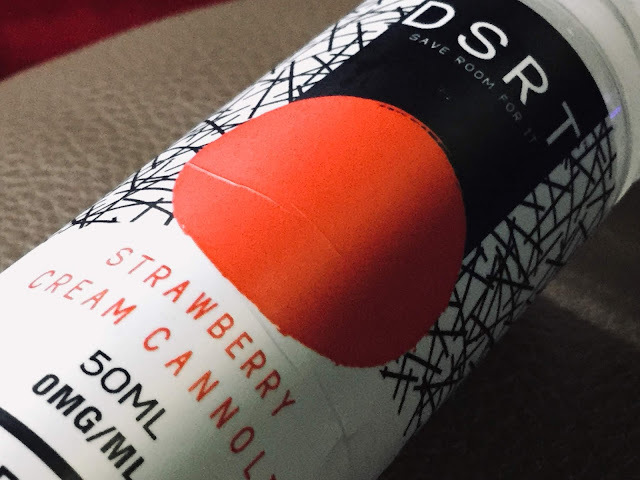 On Vaping DSRT Strawberry Cream Cannoli. This exceedingly tasty creamy delight, defiantly hits the spot, and will be a firm favourite amongst all you desert lovers. As you slowly inhale you get an indulgent wave of creamy delight rolling in, gradually coating every inch of your tongue with its butter trail. As the vapor effortlessly travels, and reaches further back up your tongue, the centre line seems to get an extra coating, like the filling in this desert classic, the sweet sticky strawberry jam seeps slowly back into the creamy undertone. This infusion precedes a health throat hit. This seamless infusion of sweet flavours, effortlessly glides out over your tongue, filling the room in thick dense clouds of sweet smelling vapor. You are left with utterly moorish creamy aftertaste, with reminiscent hints of the sweet strawberry filling. This is definitely one for all you desert lovers out there. A great blend of flavours, that keeps you coming back for more, time after time.